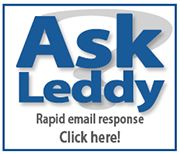 Vote for your favorite Leddy Research Question Competition selection for a chance to win! The 2016 Leddy Research Question Competition selections are now available and it's your chance to vote for your favourite question! The winners will appear in an upcoming issue of the UWindsor Daily News. Now that the Leddy Research Question competition is winding down, keep an eye out for more information about UWill Discover Undergraduate Research Conference 2017!